Now I have three kids in school (PreK, K, & 2). They all have different interests. 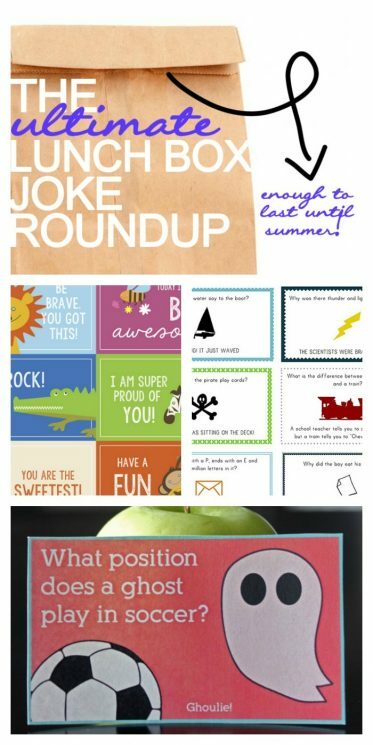 I don’t have time every morning for a sweet note – so printable jokes are a life saver. 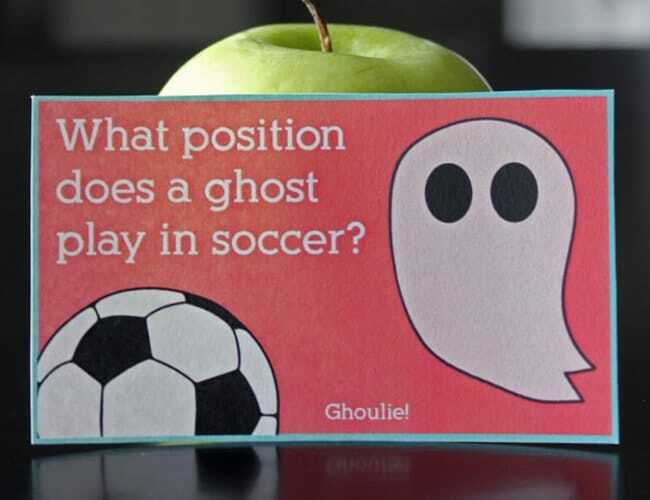 I can find jokes and silly messages for scientists, Star Wars fanatics, and soccer lovers. We talk about the joke after school and we laugh. And laugh. And then I make sure they pick up their stinky socks. Kids are so much fun. Jokes are great. Embrace the cheesiness. Too soon they will be too big to cackle at puns. New to lunchbox packing? 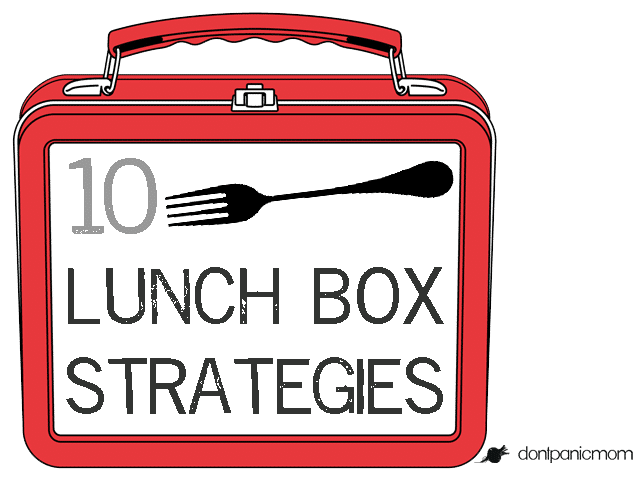 Read my 10 Lunch Box Strategies You Need to Know. 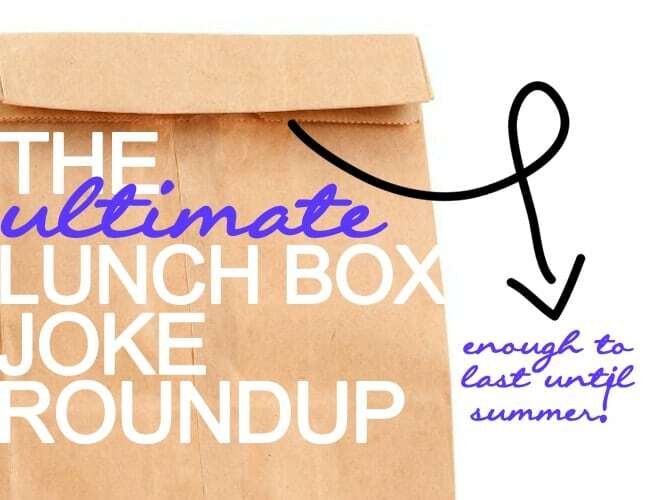 It’s the post I needed to read 3 years ago when I first started packing lunches. 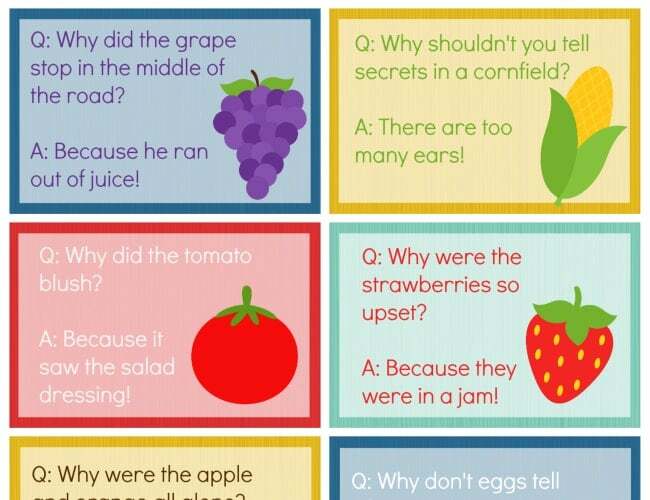 Here are some fabulously clever jokes that will have your kids smiling at lunch. 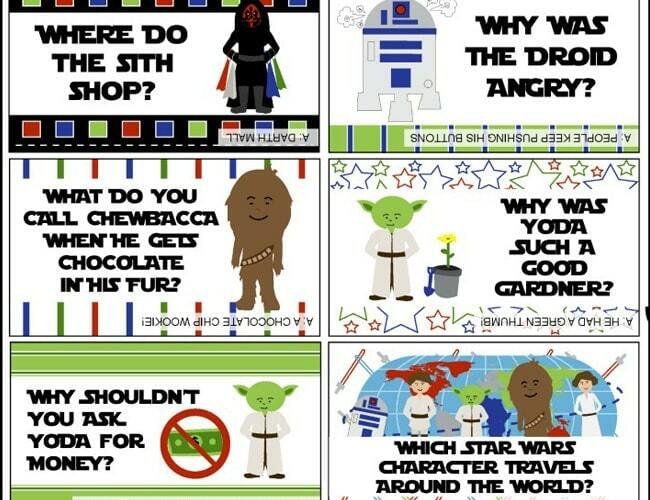 Any Star Wars fans at your house? These are perfectly designed and super clever. Over at Kristen Duke Photography you can find also Frozen jokes! I love these jokes from All The Boys. 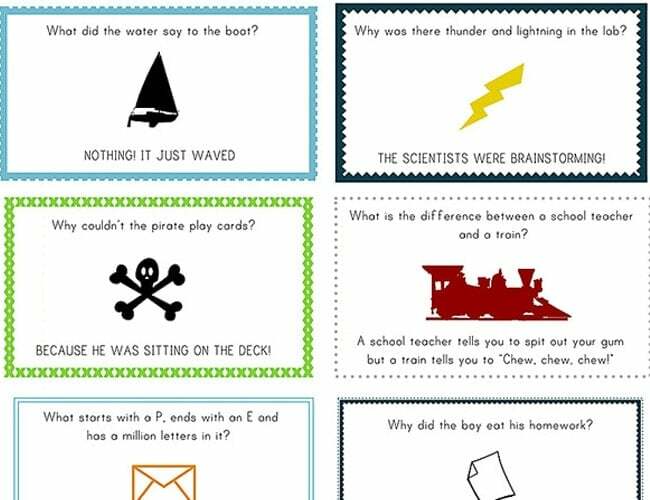 They are easy enough to read for a beginning reader – but still clever for older kids, too. Big test day? New school? 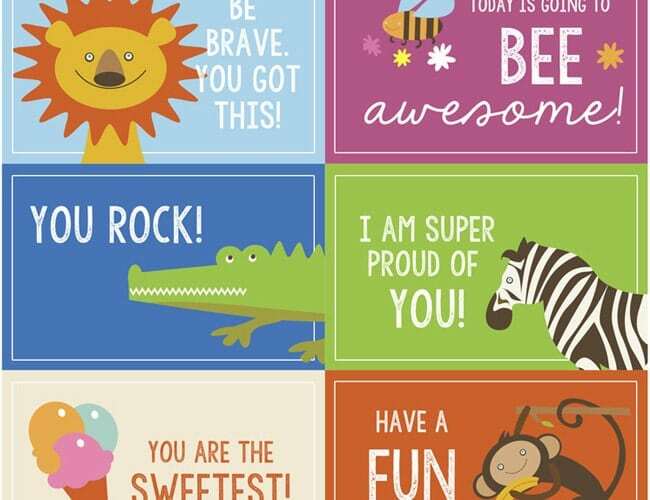 Try these encouraging messages from Lil’ Luna. 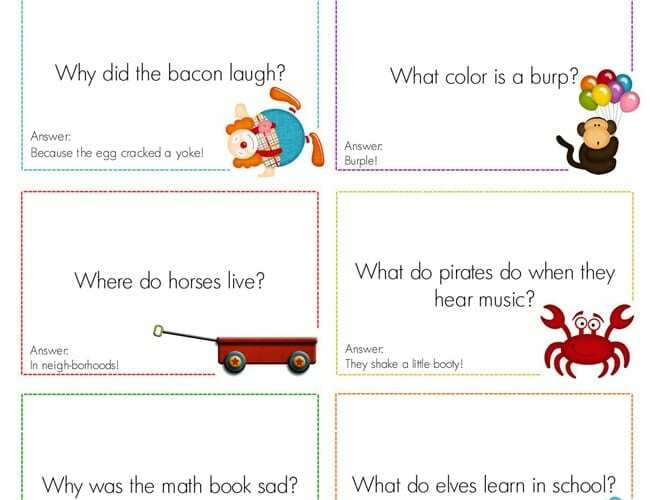 I caught myself laughing out loud at, “What color is a burp?” Perfect for all kids who laugh at bodily functions. Find these over at Cap Creations. Do you have sport lovers? They will love these jokes from Seven Thirty Three. And finally – because we all love food themed jokes the most – here are some funny ones from Love Bakes Good Cakes. Hey there! I’m Alli from Don’t Panic Mom. I live in the Middle of Nowhere with four kiddos and one Hunky Husband. 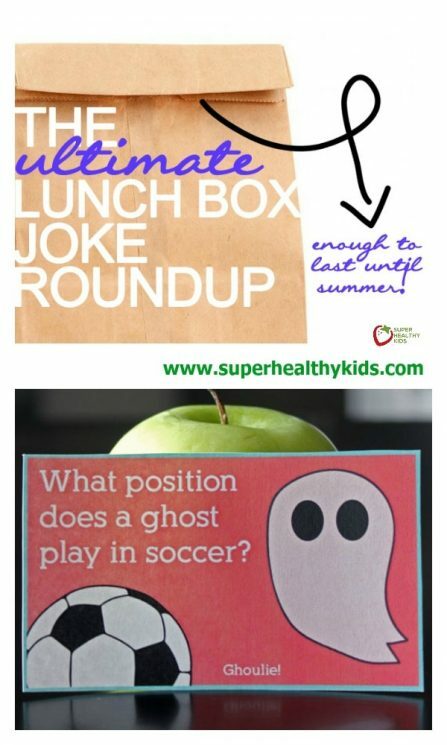 I love to make sense of healthy living with the reality of a tight budget and hungry kids. Want more healthy hacks for modern moms? Follow me on Facebook.